Do you have a Patio, Deck, Garden, or want to have a Catch with your Children? Don’t miss out on Family Time & All the Beauty of being outside this Spring and Summer. 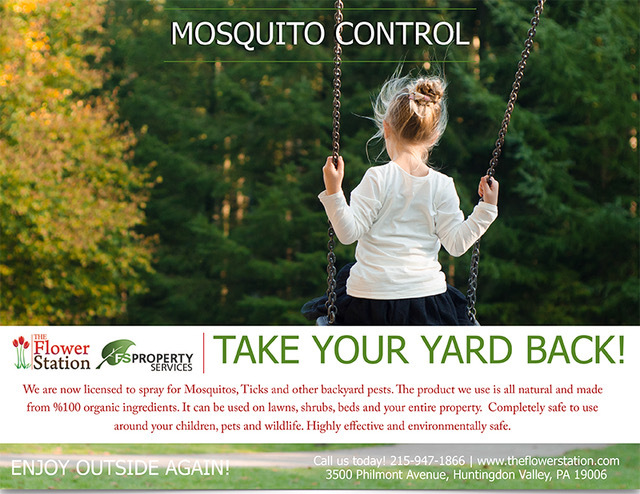 The Flower Station & FS Landscape Solutions in now CERTIFIED/ LICENSED / INSURED for Pest Control. Our 100% Organic Material is Family Friendly/ Pet Friendly/ Tree and Plant Friendly.